EVANSVILLE, IN – AUGUST 2, 2018 – Technician.Academy Founder and CEO Shawn Collins will join a panel discussion during the Career Connection Conference on August 10, 2018, at NACE Automechanika Atlanta. 500 plus students will gather at the conference to learn about automotive industry opportunities and pathways. As a member of the Career Connection Panel, Collins will share information regarding the numerous education pathways available in the automotive industry. The Career Connection Conference will begin at 9:00 AM, where Collins will speak along with several other panelists. 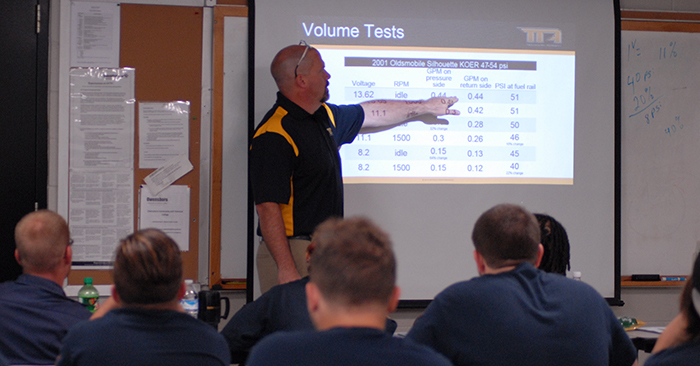 To learn more about Technician.Academy’s involvement at Automechanika Atlanta, email Shawn Collins at [email protected]. Discover more about Technician.Academy, its programs, and initiatives by visiting the website. Technician.Academy offers personalized online courses as well as blogs, how-to tips, and industry insights to automotive technicians. EXTEND PERFORMANCE, a solutions-based automotive marketing agency in Evansville, IN, introduced Technician.Academy in 2016 to provide a single location for accurate training and content that is valuable to the automotive technician of today and tomorrow. For more information, please contact Technician.Academy and EXTEND PERFORMANCE at 855.306.8818 or by email [email protected].